The question of ‘should I quit my day job?’ is not an uncommon one. Answering this question is a tad tricky as there are variables, and the answer will be different for different people. However, there are three points that are key to remember as you ponder this. One, there is no rush! Don’t just quit rashly and end up regretting it. Two, you can hold a day job and run a successful business. And three, perhaps most important, do not compare yourself to anyone else! You can be a successful handmade business owner AND hold down a day job – the two are not mutually exclusive. 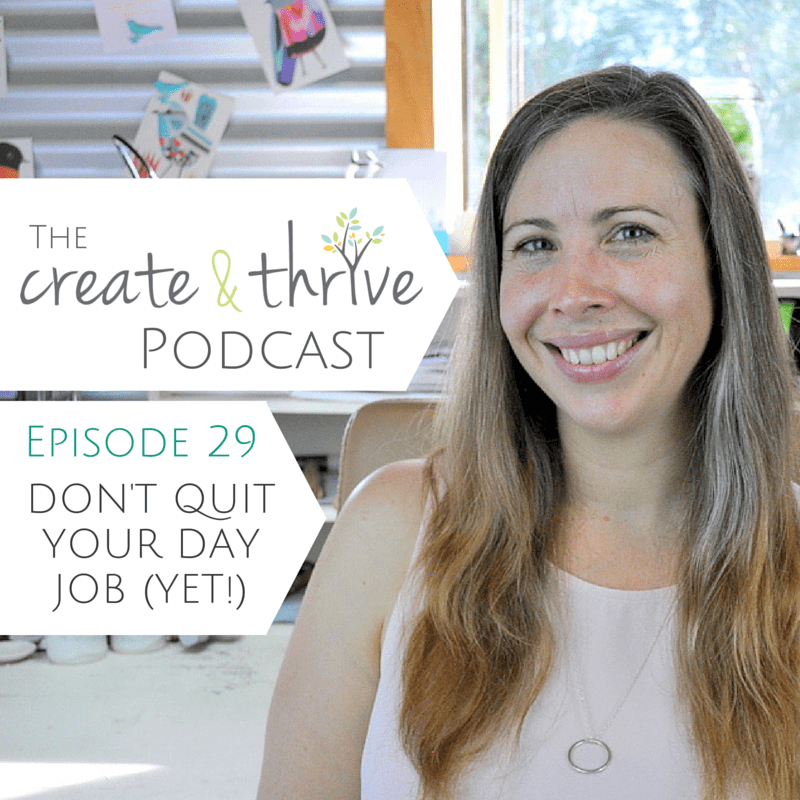 In this episode I cover a number of key points that you need to consider before you chuck in the day job. 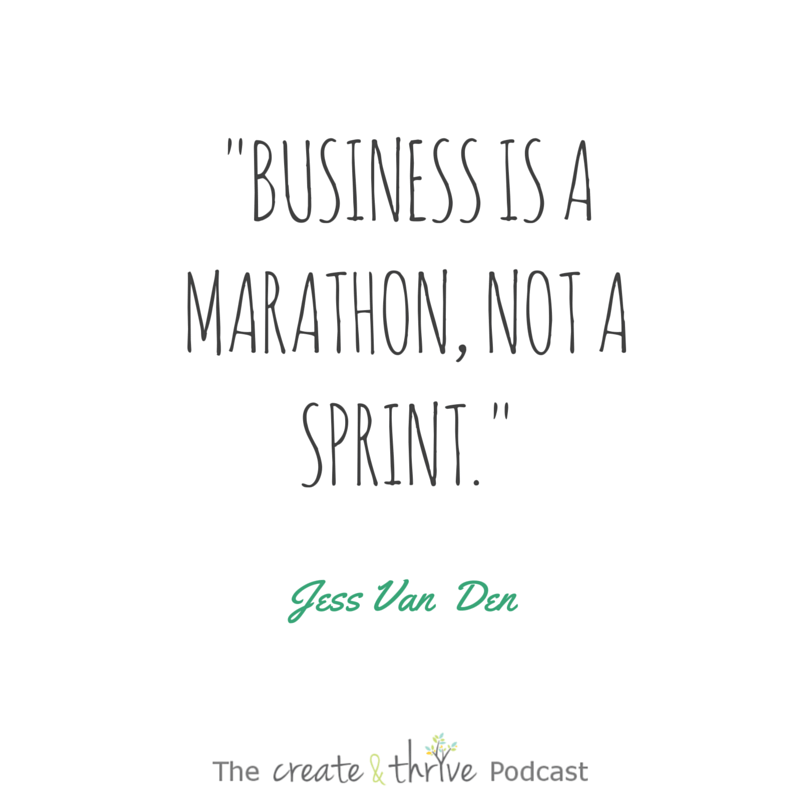 Building a business is not going to happen overnight. It takes time to develop a business. You must work hard and be dedicated. The growth will happen over time. Set goals for yourself. Allow wanting to quit your day job be the driving force behind the energy you put into your business. We all have life essentials, such as food, rent/mortgage, and medical expenses and those MUST get taken care of. Having a job to provide is something we all must do. You don’t need to go the all or nothing route. Think in steps. Can you switch your day job from full-time to part-time? You don’t know if a business will be a success until you try it. Having your day job during these early stages offers support. Consider if you even want to run your business full-time. There is nothing wrong with having multiple sources of income. Having a day job also allows you the opportunity for your business to gain momentum. Again, things take time to grow. Grow a customer base before you dive in completely. Also, you absolutely must build a safety net in the form of a savings account. Have at least 3-6 months of expenses saved and stored in an account you can’t be tempted to touch. If you do your business say in the two hours after your day job, you will be ultra focused to get your work done. If you quit your day job and have all the time, you may lose productivity. Ultimately, do what is best for you! But be smart, consider if your business can support you, do you have a back up line, what is your safety net?